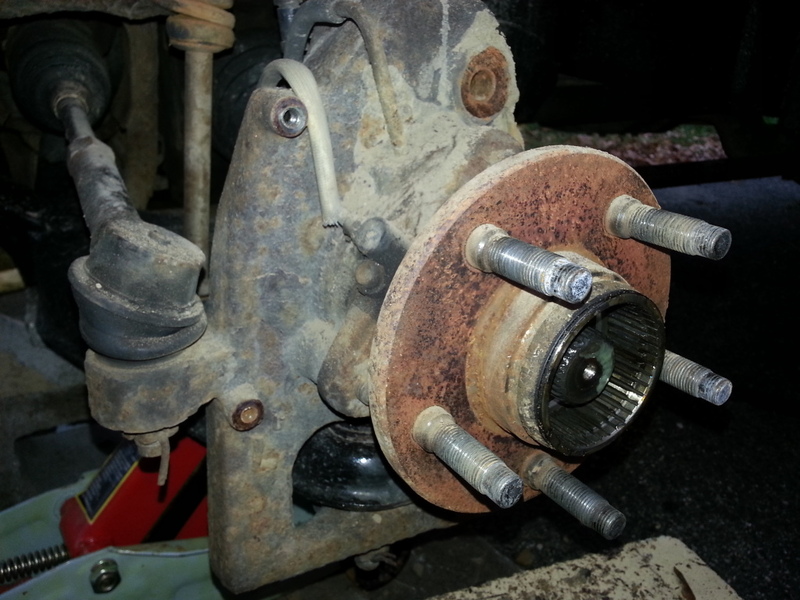 How-To: Replace Front Wheel Bearing Hubs. 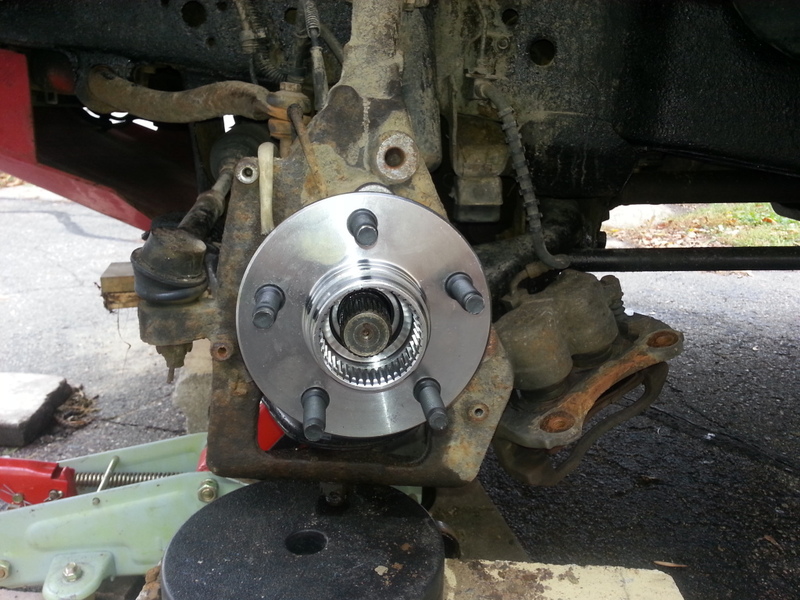 This How-To is for replacing the front wheel bearing hub assemblies on a 1999 Ranger 4x4, with AVM Rugged Ridge Manual Locking Hubs. This may apply to many other years. 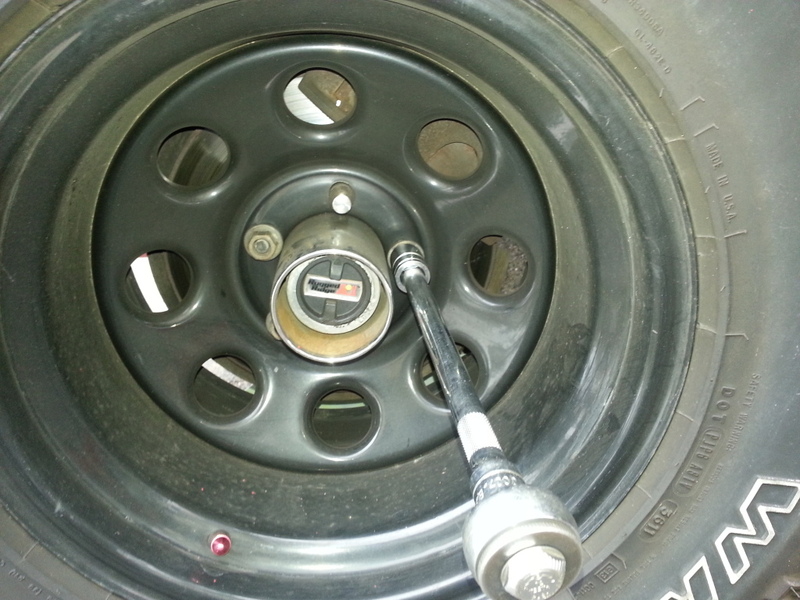 Lugnut sockets or wrench for removing your tires. Torch, Map gas or Propane Torch may be needed if bolts are too tight and seized up. 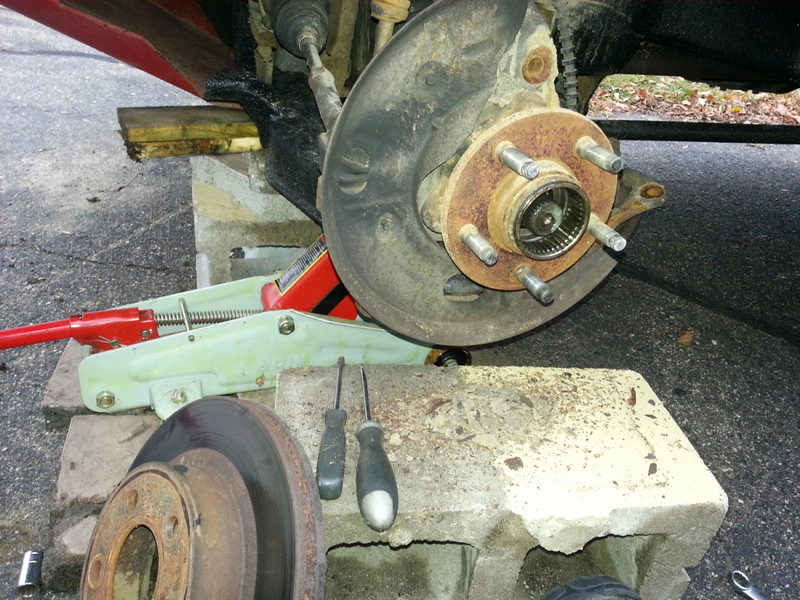 Loosen up your lugnuts on your rims and prepare to remove the tire. Use the jack to jack up the truck to get the tire off the ground. 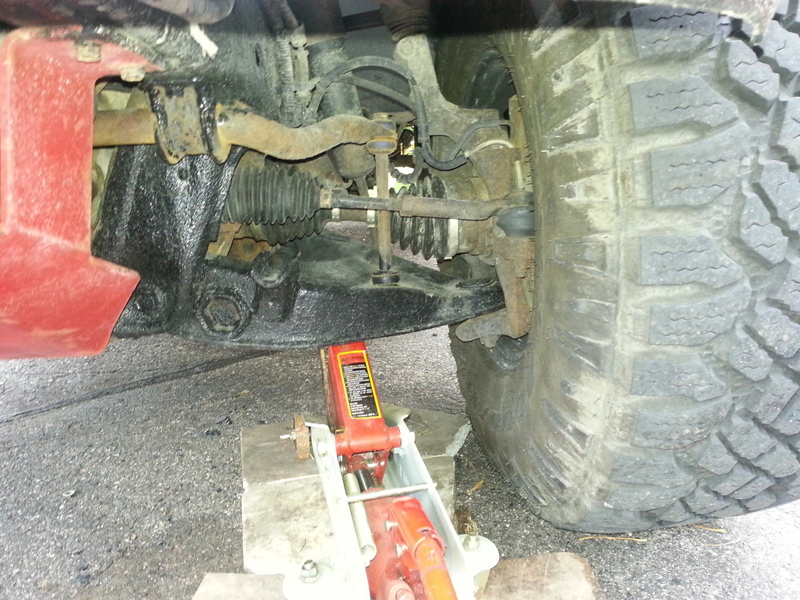 Use a jackstand to help secure the truck. Remove the tire and set aside. 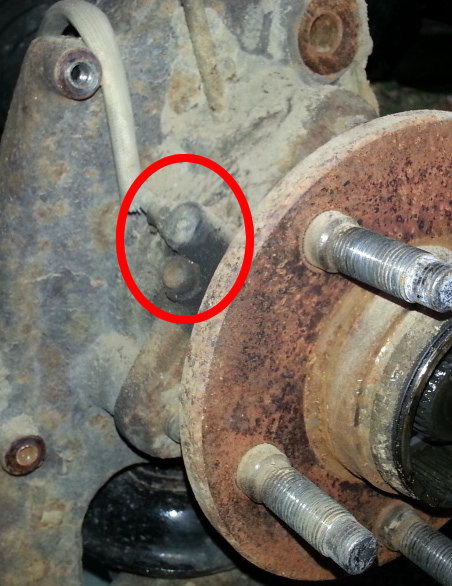 Two bolts on the back, use the 15mm Socket or Wrench to remove the bolts. Remove your center hub. In this case I have AVM Rugged Ridge Manual lockouts. 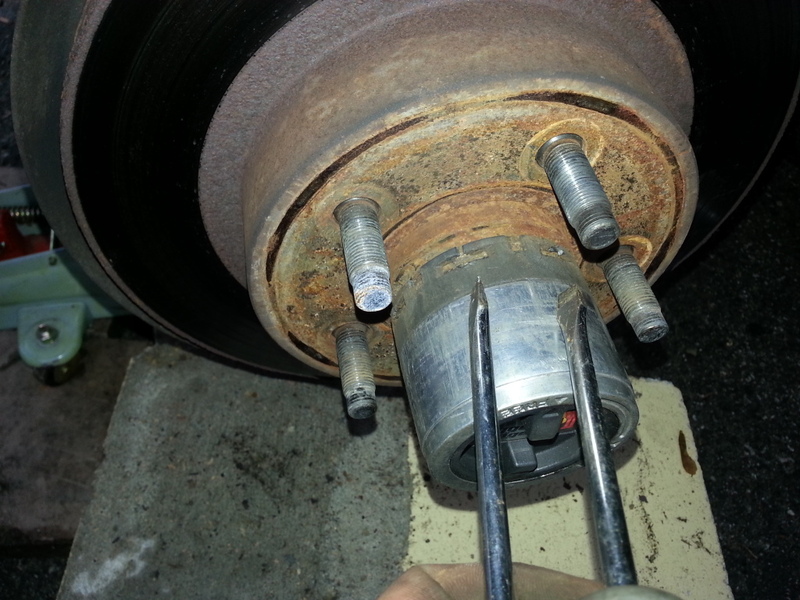 Use two flat head screwdrivers to pull up and move the teeth tabs on the hub and slowly remove it. 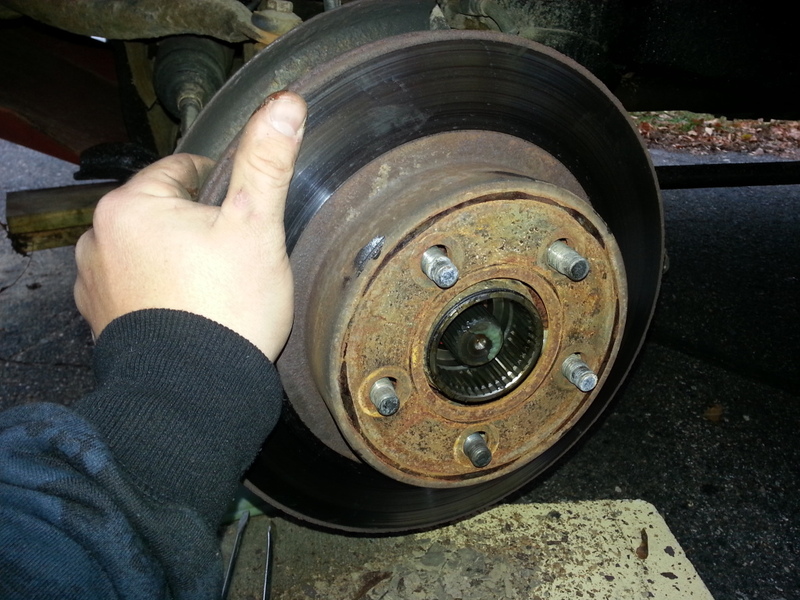 Remove the Brake Rotor Disk. You may need to tap it with a rubber mallet to brake it loose. 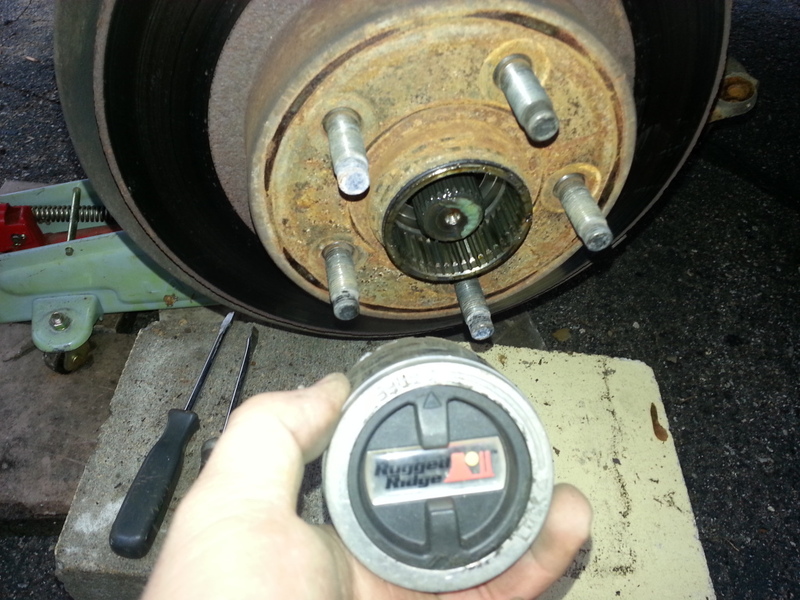 Remove the 3 bolts holding the metal brake shield on, using the 8mm socket and ratchet. 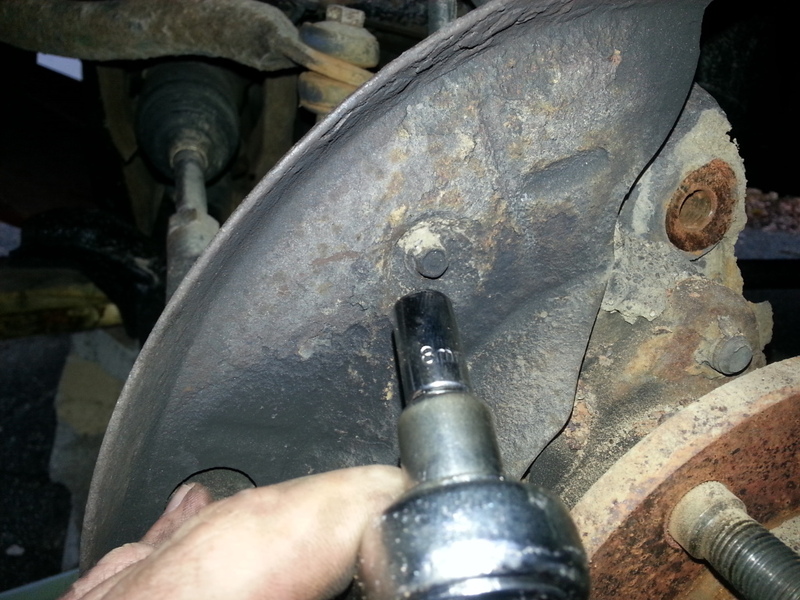 On the back of the hub where the driveshaft boot is, you will see a metal ring shield, held in by two small bolts, this shield is in the way of accessing the 3 main hub bearing bolts. 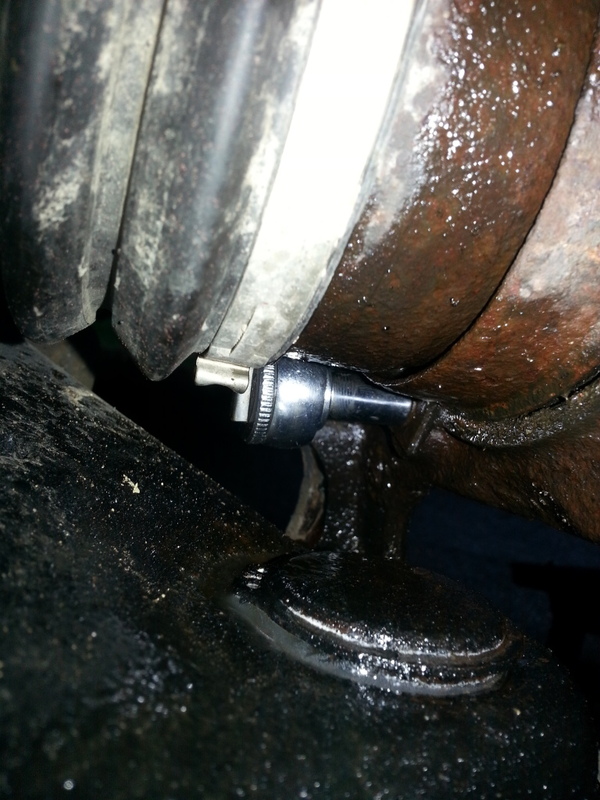 Remove the two bolts with the 8mm socket and ratchet. Using a 1/4" ratchet works the best. 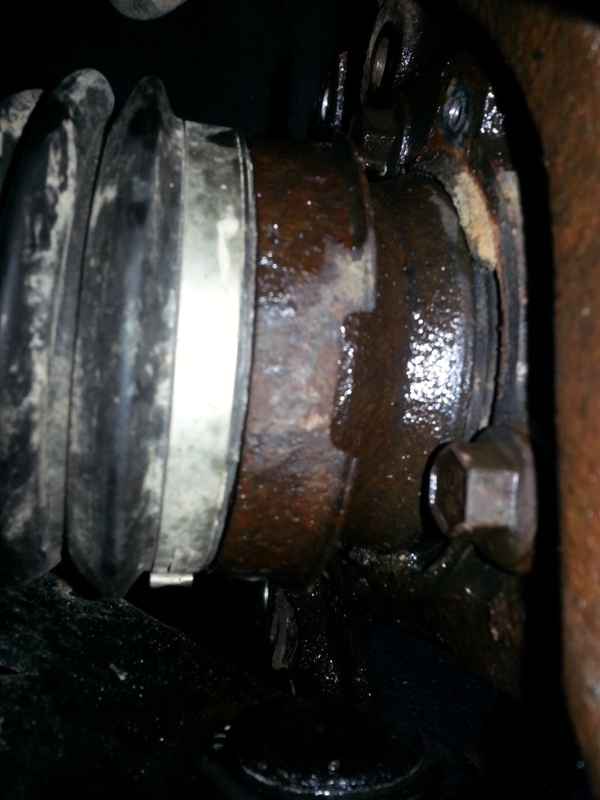 Once the 2 bolts are out, you can slide the metal ring out of the way to access the 3 main hub bearing bolts. 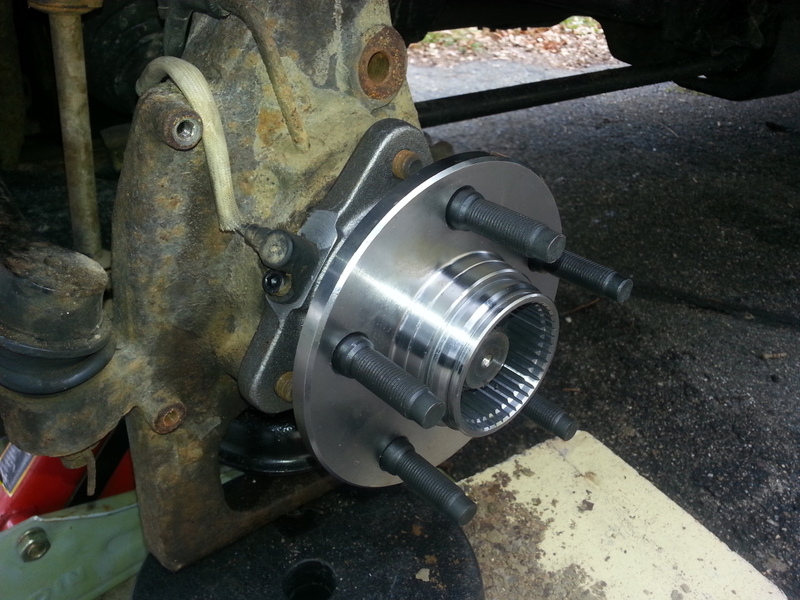 Inside the hub around the spline shaft is a circular wave spring on a plastic retainer clip. Remove that with the flathead screwdriver, it's not easy. 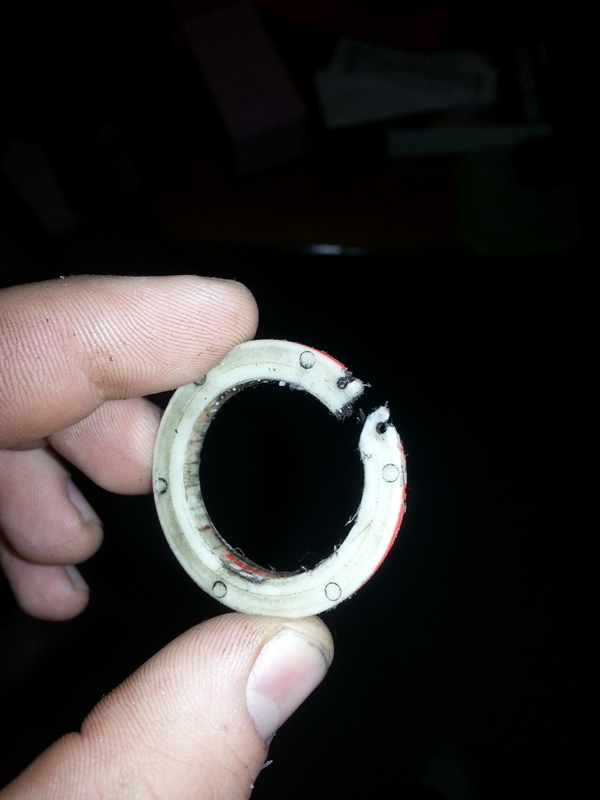 Use snap ring pliers to remove the retainer clip located in the hub around the spline shaft. This can be a real pain. Remove the 3 main bolts securing the hub bearing assembly. 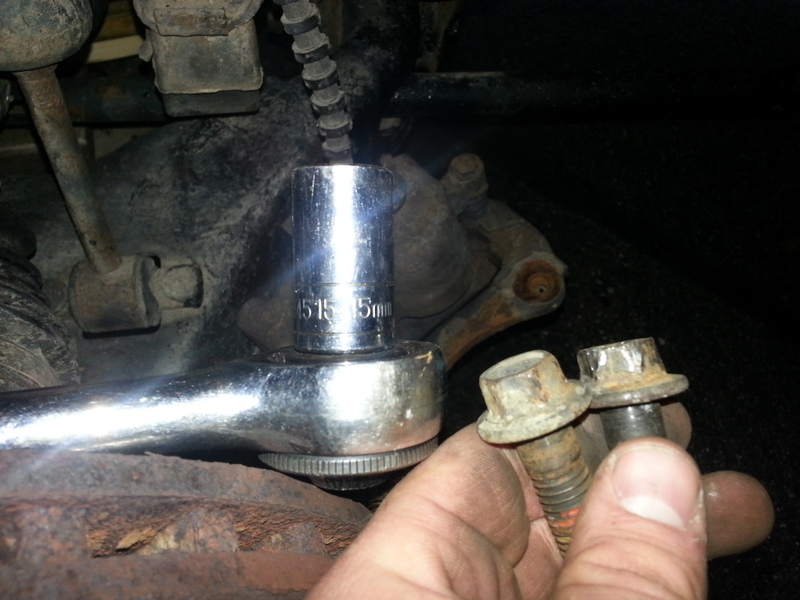 Use a 15mm wrench or socket with ratchet. Do not round them off. Use the WD-40 or Torch if needed. Compare the old one to the new one. if it matches and you have the correct part, install it using these steps in reverse order. 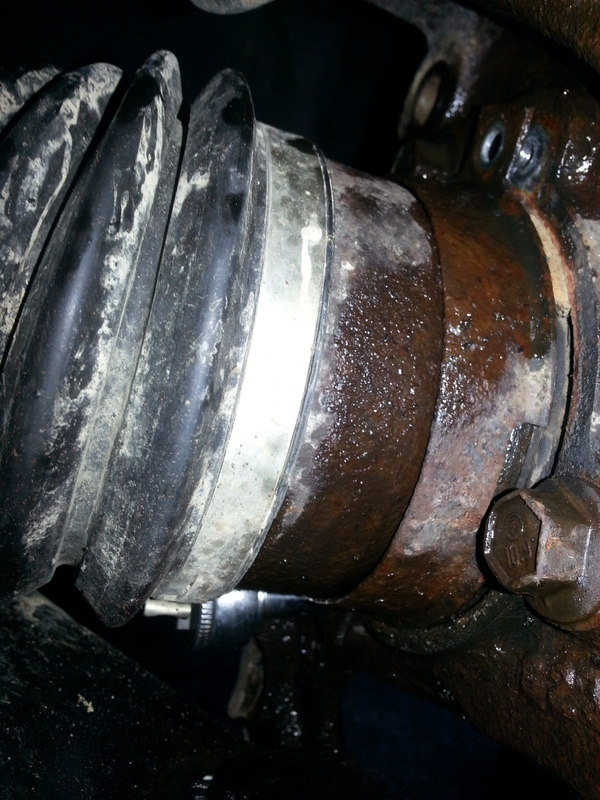 It may also be wise to lube up the splines with some grease while you're at this point. I am still in the middle of this project. I am waiting on a new retainer clip, as mine is busted. Last edited by gcextreme; 10-05-2013 at 02:06 PM. Anybody have a part number for the retainer clip? Did you ever find that part #? Also need the # for the wave spring.